Zheng Guogu was born on 1970 in Yangjiang, Guangdong province, China. He lives and works in Yangjiang, Guangdong province, China. Zheng Guogu is one among a growing number of postmodern artists who have been reacting to the rapid shifts taking place in China over the past ten years by giving artistic shape to the phases of social and economic transformation. What distinguishes him is his commitment to the local culture of his hometown and his role in directing attention to it, while engaging with trends in global contemporary art. The international art world has fallen in love with contemporary Chinese art, and somehow Zheng Guogu, although often included in group exhibitions in Asia and Europe, has not been singled out often enough. He juggles fact with fiction or myth, while controlling the entry points to his community for visitors from the art world, who make the trek to visit him in the small town where he lives and works. I went to visit Zheng Guogu in the fall of 2003 on my second research trip to China. Luckily, Lydia Thompson, a colleague from San Diego, who has a Ph.D. in Chinese art history accompanied me, and since she speaks Mandarin, was pressed into the role of translator. Zheng Guogu came to pick us up from Guangzhou, China's largest city in the south, and brought us to his hometown of Yangjiang, two hours drive away. 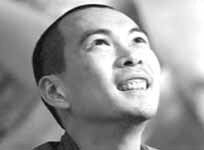 Zheng Guogu was born in 1970 in Yangjiang, towards the southwest part of Guangdong province. Known for its knife and scissor factories, it is situated on the edge of the China South Sea. Yangjiang became a town in 1988 when farmers and others from the outlying rural areas were encouraged to move there to participate in a new economic enterprise zone. Zheng Guogu comes from an artistic family. His father is a traditional instrument maker and a singer, who has at times worked for the Hong Kong Opera, a five hour drive east from Yangjiang. During the years that Zheng Guogu was growing up, things were already changing in China as the Maoist period receded into the past and the country opened up to the rest of the world. He and his generation had access to the West and Hong Kong through television, pirated CVDs of Hollywood films and computer games. So although he was physically isolated, he was accessing the West, albeit virtually, at a young enough age so as to take these new experiences and freedoms for granted. 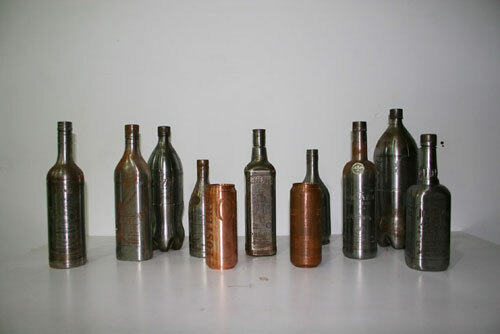 He attended the Guangdong Academy of Art in Guangzhou, China's third culture capital, with a focus on printmaking. While a student there, he was introduced to a slightly older group of artists that formed the Big Tail Elephant Group (Lin Yilin, Chen Shaoxiong, Xu Tan and Liang Juhui) in 1991, and they encouraged the younger artist to experiment with performance and conceptual art. Conclusions: Zheng Guogu had already established his own style and the impact of the work had won him a strong reputation in Chinese art circles. View Zheng Guogu paintings, biography, solo exhibitions, group exhibitions and resource of Zheng Guogu. View art online at The Saatchi Gallery - London contemporary art gallery.